Let’s look first at what you actually get when you eat chickpeas. 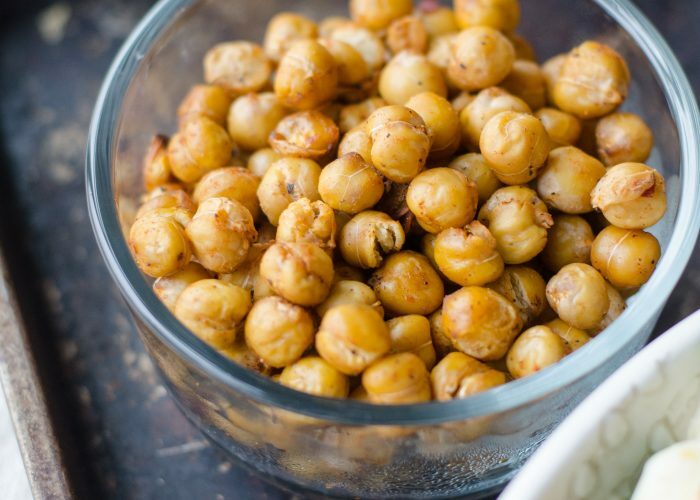 Just a half cup of cooked unsalted chickpeas already provides 134 calories, 7.3 grams of protein, 2.4 milligrams of iron, 1.3 milligrams of zinc, 40 milligrams of calcium and more than 6 grams of fiber. Not only that, chickpeas are also a good source of phosphorus, potassium, magnesium and folate! Many may have tried chickpeas without even realizing it. Two common dishes are hummus (or houmous) which is a paste made from cooked chickpeas and falafel which are small crispy flat or round balls that are often fried. However, chickpeas can be used in a myriad of other ways too. Examples include using chickpeas in curry dishes, in slow cooker meals, in stir-fries, in soups, salads, in stews or as a taco or burrito filling. They can even be dry roasted in the oven, preserved in syrup as a dessert, and the chickpea flour (known as gram flour) can be used to make flat breads and other gluten- and wheat-free recipes suitable for those with wheat allergies or gluten-intolerance. Nowadays, there is even gluten-free pasta made from chickpeas! It is very easy to get canned chickpeas from the supermarket, which you can drain and rinse before using in cooking. You can also sometimes find low sodium canned chickpeas or unsalted canned chickpea versions. However, if you would like to buy and cook your own from dried chickpeas (which is often more economical), then see the easy instructions below for how to do so using the stovetop. Note that when buying dry chickpeas, choose packages that are newer and haven’t been sitting on the shelf for a while, as these older dried chickpeas will likely take longer to cook until soft and tender. A simple method to cook chickpeas on the stovetop so that it can be used in many dishes! Measure a cup of dry uncooked chickpeas into a medium sized pot. Rinse the chickpeas once or twice in cold water and fill up the pot halfway until all the chickpeas are covered. Leave at least 3-4 inches of water covering the chickpeas on top. Let the chickpeas soak overnight (due to water absorption, the chickpeas will expand quite a lot). The next day, drain out the remaining water from the pot, and rinse the chickpeas once or twice in cold water. Do this by filling up the pot halfway, stirring the chickpeas around and then pouring out the excess water. Add 3 cups of fresh cold water to the pot and then place the pot uncovered on the stovetop on a medium heat setting. Once the pot contents start to boil gently, place the lid on the pot (leaving a small opening slit) and let the pot contents continue to simmer for 30-40 minutes. Adjust the stove heat setting as needed to keep the pot contents bubbling gently. Taste the chickpeas after 25-30 minutes of cooking to determine if they are cooked through. If you plan to use the chickpeas in a recipe that involves a long cooking time, then it is fine to have the chickpeas still be a bit crunchy. When cooked through, use a slotted spoon to remove the cooked chickpeas into a separate bowl to cool. You can now use the cooked and drained chickpeas in your cooking! If you prefer to use the slow cooker, you can cook the soaked chickpeas in a slow cooker for 3-5 hours on a low setting, along with half an onion and enough liquid to cover the chickpeas by 2-3 inches. Reserve the yellow colored chickpea cooking liquid as this makes a great vegetable broth base for other dishes (this keeps in the fridge for a few days). Any leftover cooked chickpeas can be stored in the refrigerator for a few days, to be used in different recipes. Often recipes with long cooking times will likely call for using uncooked (but soaked overnight) chickpeas, so be sure to check the recipe before cooking them. Cooked chickpeas also freeze well in the freezer so you can make extra and just freeze a portion to take out later and thaw to use in another dish. Chickpeas. Encyclopaedia Britannica. Last updated September 6, 2018. Accessed September 21, 2018. USDA National Nutrient Database for Standard Reference. http://ndb.nal.usda.gov.